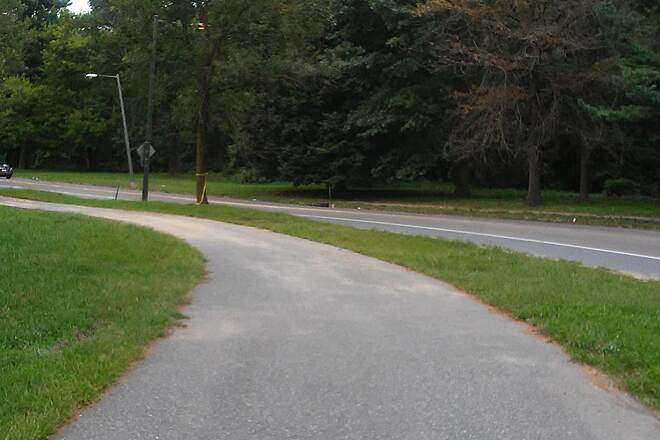 The trail parallels the Cobbs Creek Parkway for most of its length. This photo was taken near the Mt. Moriah Cemetery on the southern section. 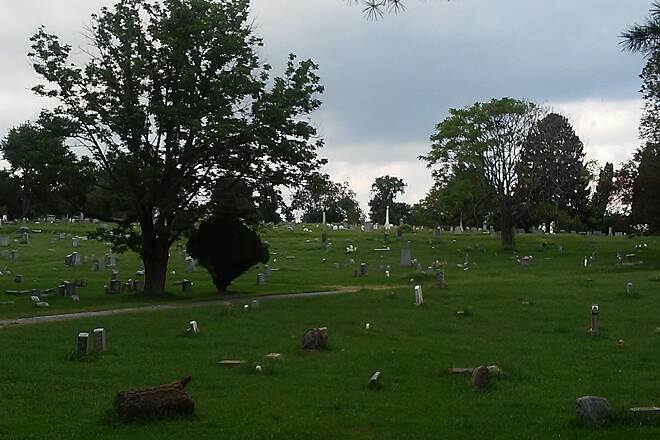 The trail passes this large cemetery near its southern terminus. 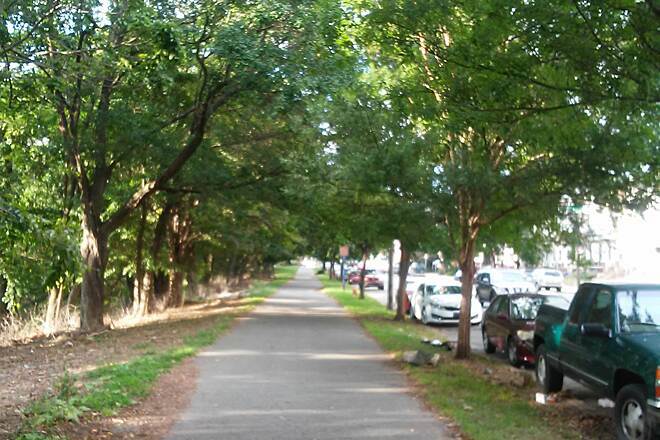 Most of the trail is tree-lined, providing welcome shade from the summer heat. 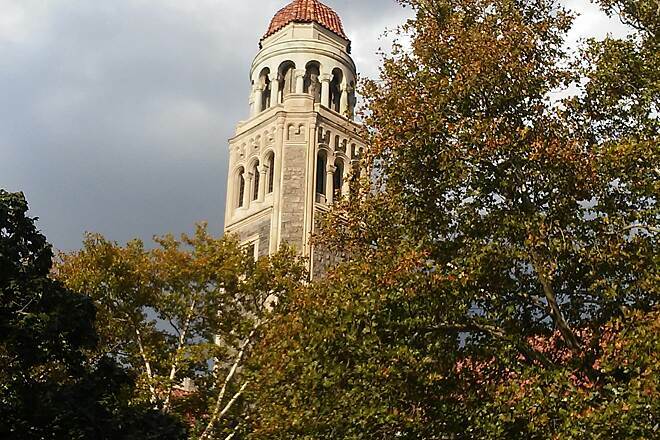 The bell tower of the Church of Christian Compassion dominates the skyline near the trail at the intersection of Cobbs Creek Parkway and Cedar Ave.